Craving something fresh? Join our Extreme Pita Club and be the first to know about limited time promotions and special offers. FILL THIS OUT & JOIN TODAY! Q: HOW DO I JOIN THE EXTREME PITA CLUB? A: Complete the form and submit! Q: WHAT IF I NO LONGER WANT TO RECEIVE SPECIAL OFFERS AND THE LATEST NEWS FROM EXTREME PITA? A: Please click "unsubscribe" at the bottom of your Extreme Pita Club emails or email us under the Contact Us page. Q: HOW OFTEN WILL I RECEIVE EMAILS THROUGH THE EXTREME PITA CLUB? A:You will receive emails when we have exciting news to share! But no more than 4 times per month. Q: WHAT TYPES OF EMAILS WILL YOU BE SENDING ME THROUGH THE EXTREME PITA CLUB? A: You will be updated first with the latest news on new products, ingredients, and most importantly, you will get special offers and coupons just for being a member! Q: WHAT IF I DON'T RECEIVE MY SPECIAL OFFER ON MY BIRTHDAY? A: Be sure to complete the form correctly to ensure you receive special offers for your birthday! If for some reason you do not receive it, please email us and let us know through the Contact Us page. 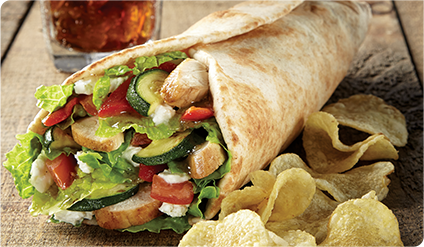 Extreme Pita® Eat Good. Feel Good. © 2017 MTY Franchising USA, Inc. All Rights Reserved. AQUAFINA and PEPSI is a registered trademarks of PepsiCo. Inc.